Ever since Apple released OS X Yosemite with redesigned Safari interface a lot of people were asking Apple for bringing favicons to tabs back or disabling auto-resizing of Safari Tabs. Apple didn't but with help of SIMBL or EasySIMBL we were able to fix those little problems. With OS X El Capitan things a bit trickier as Apple introduced SIP which in theory is supposed to protect you from all kind of bad things that may happen to you while working on OS X. Following method requires disabling SIP for the duration of installation only. After installation it's safe to enable it again. It's necessary to disable SIP during installation. Otherwise it won't work. Original SIMBL Agent.app does not support injecting into process that launched before SIMBL Agent.app. Verify SIMBL Agent.app is running before launching target app. SIMBL.osax does not require code signature. plugins do not require ownership by root. 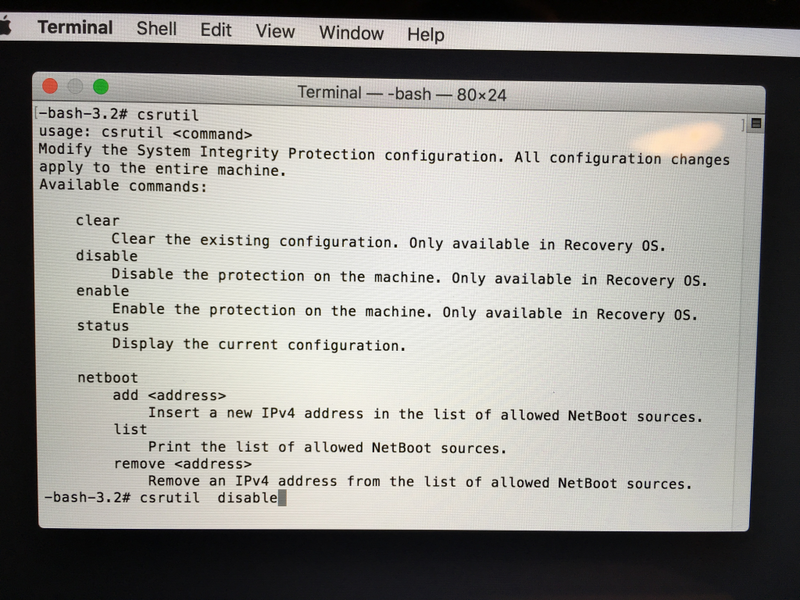 /System/Library/LaunchAgents/net.culater.SIMBL.Agent.plist requires ownership by root. 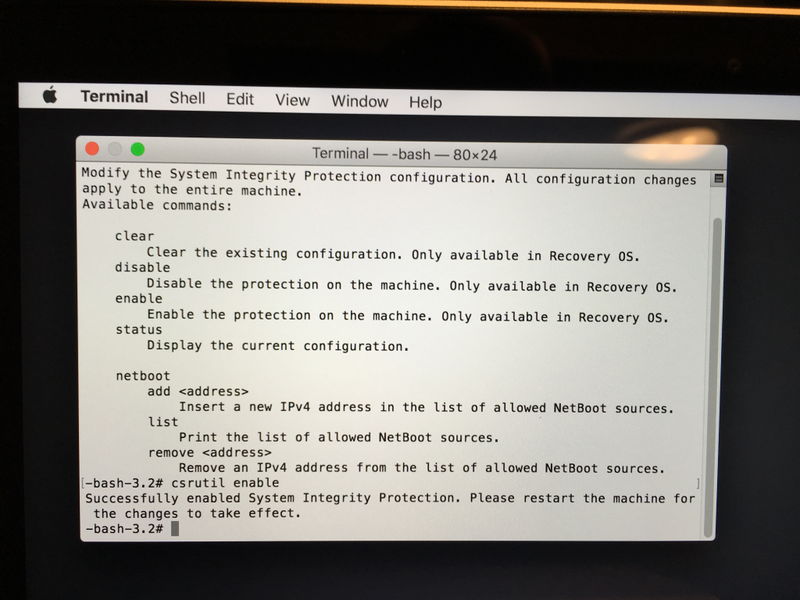 If you've migrated your system from Mac OS X Yosemite and you've been using Easy SIMBL before you may need to do additional steps to make sure everything is running. 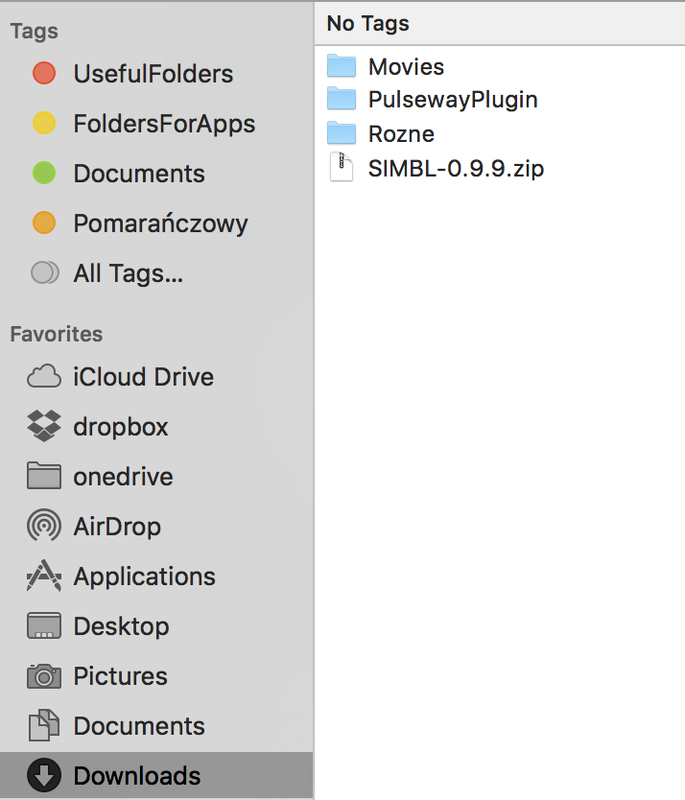 If you've done the steps above and things still are not working chances are you've been using Easy SIMBL and you're using old plugins that are not supported by Mac OS X El Capitan. 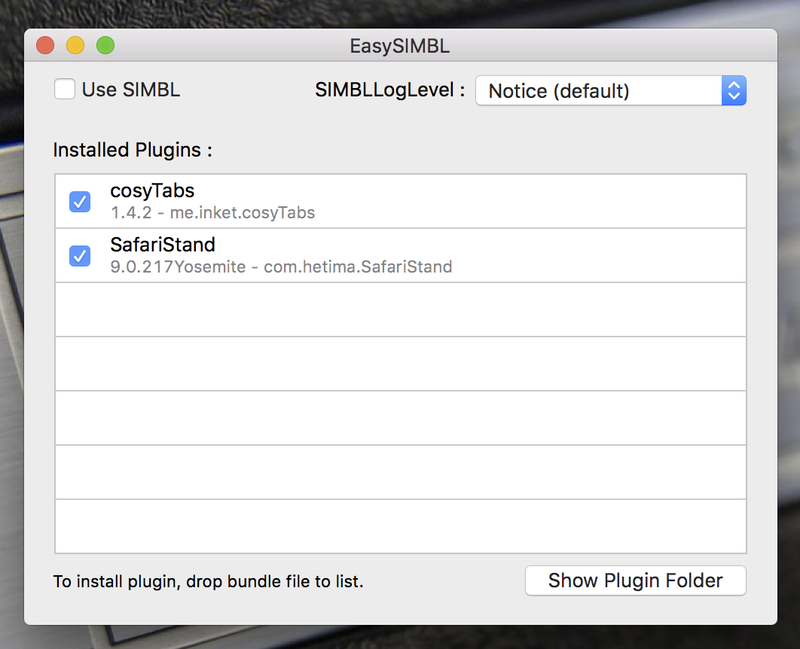 Also even if you install SIMBL you can still use Easy SIMBL to easily manage your plugins, but EasySIMBL alone won't work anymore without SIMBL. Make sure Use SIMBL is unchecked, and that plugins here are either removed or up to date. This comes useful when you put new plugins into SIMBL main directory, and you still have old versions here. Plugins will get in conflict and won't work unless they are same or higher versions.